This week Nick Wapplington's new book of photographs documenting the conception, creation and launch of designer Alexander McQueen's Fall/Winter 2009 collection is getting heavy coverage in the press--for good reason. The book was commissioned and laid out by McQueen himself, and it offers the most revealing portrait of the man, and his working process, ever. The New York Times covered the book in the Sunday Styles section, and today it's The Daily Beast. "Alexander McQueen led a notoriously private life, allowing very few into both his personal and professional spheres. 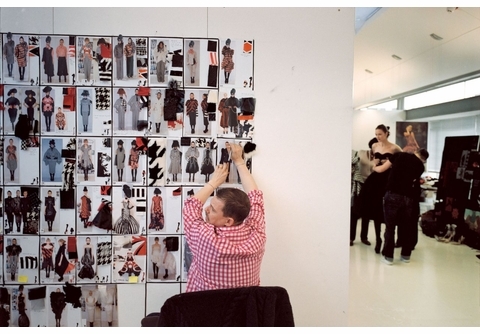 Yet in 2007, McQueen commissioned photographer Nick Waplington to create a photo book of his design process, cataloguing all aspects of his Fall/Winter 2009 show, from conception to creation. 'Do whatever you want,' McQueen told Waplington, 'this will be your book and I will be the subject.' 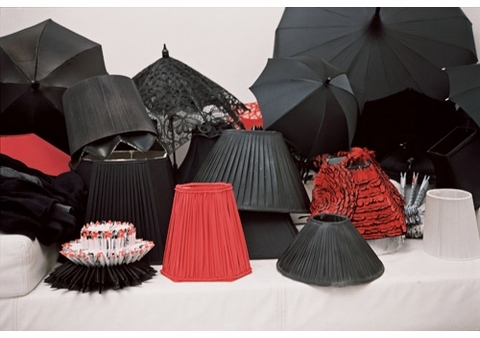 Over six months and 800 photographs later, Waplington had captured McQueen's working progress in his London studio and Paris atelier, highlighting his multi-faceted 'The Horn of Plenty' collection, as McQueen named it, which encompassed concepts and inspiration from his previous 15 seasons. Less than a year later, McQueen would tragically take his own life, leaving behind a still-admired legacy, and this book of unpublished, rare photographs. Now, three and a half years after his death, Waplington's intimate images are being published, providing those who did not personally know McQueen with a look into his private life. 'In the end, though, it is important to remember that however challenging the subject matter, this collection was created with and among old friends,' Grazia's Fashion Director Susannah Frankel writes in the foreward. 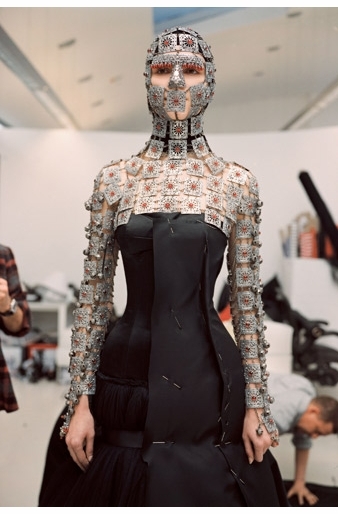 Waplington's haunting imagery of 'The Horn of Plenty,' from start to finish, show above all, what McQueen loved most." Hbk, 9.5 x 12 in. / 304 pgs / 125 color.